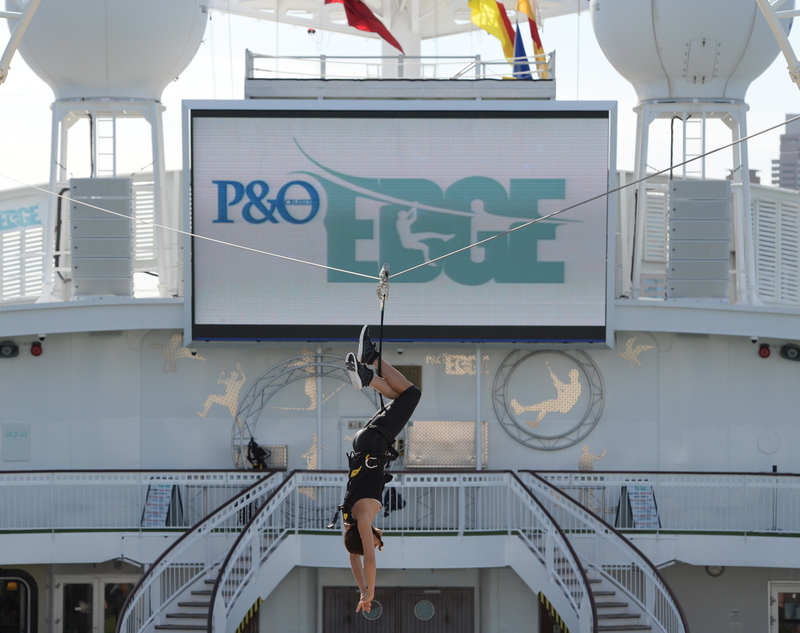 P&OEdge gives you the opportunity to climb, swing, jump and race your way to parts of the ship never seen before. 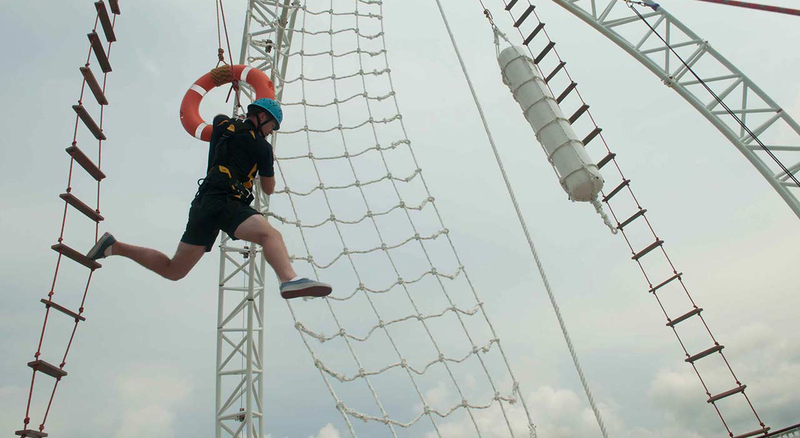 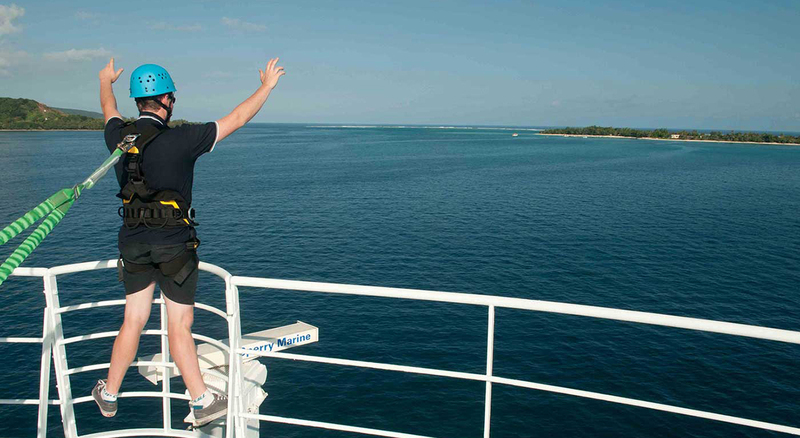 The 20 activities, which include high rope swings, laser tag, slack lines, Segway obstacle courses, flying fox lines, funnel climbs and many more have been specifically designed to make use of the ship’s existing architecture and turn Pacific Jewel into the largest floating adventure playground in the world. 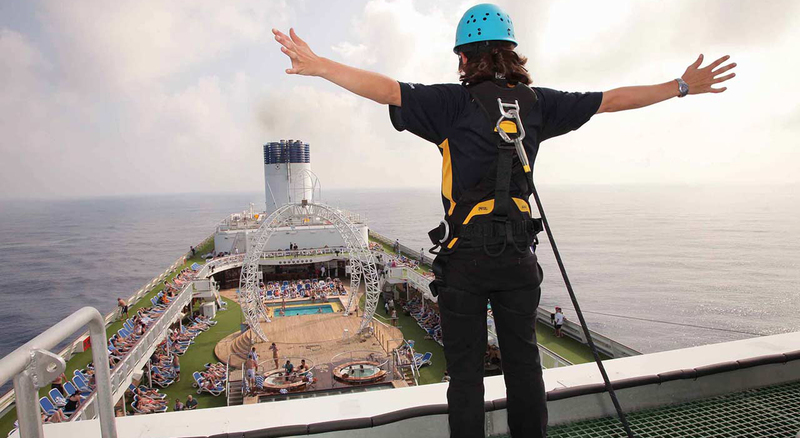 TouchCloud association: Limited to provision of 3rd Party Review of the Edge harnessed activity operations.